The 60s were a groovy time to be alive. There was live music everywhere you looked and people were just chilling while talking about peace. You could get in your van with all your buddies and cruise the country looking for good times and happening vibes. 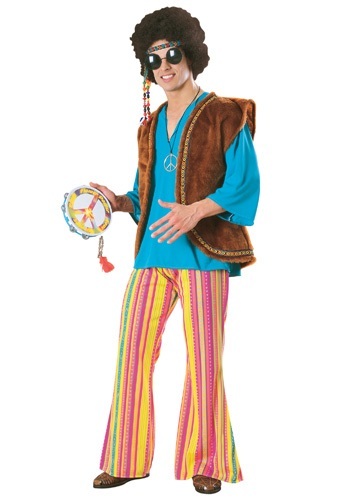 Now you can look like you just got out of a painted VW van in this hip Men's Woodstock Costume. A great look to play guitar in or join a sit-in.